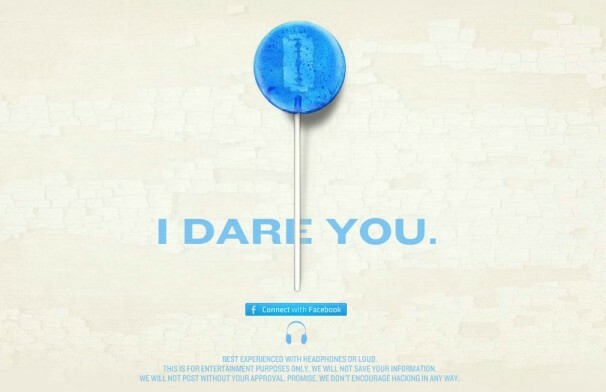 Then, I get a Facebook post with a graphic of a blue lollipop (with a razorblade inside it), and the words “I Dare You.” I want to see what the buzz is about but I am hesitant, as I want to protect what little privacy I still have left. You see, to experience Take This Lollipop, you have to allow access to your Facebook account to enhance and personalize your experience. I got the chance to speak to the creator of Take This Lollipop, director Jason Zada, and asked him just that. So, I am sure you get this a lot, but does it do anything with my Facebook information? Jason: It doesn’t do anything bad. It was important to be scary, but not cross the line. The information needed is very isolated to only your experience. Take This Lollipop does not store or share the data and it’s only used once for the video. It picks your information randomly, so if you go in and do it again, depending on how many pictures you have; it shouldn’t use the same info twice. How did you come up with the idea of Take This Lollipop? Jason: We wanted something scary and fun that shook people up for the holidays. I have always loved Halloween and scaring people is super fun. We came up with this idea and its been so exciting to see the world embrace it. The site has sort of been groundbreaking and it just feels really nice. We don’t have a product or big company behind it or anything, we just did it for fun and it’s amazing to see that it has got this popular, just from word of mouth. Can you give me an idea of how popular it has been so far? Jason: Well, in the first 24 hours of the site being open to the public, more than 300,000 people have given access to their Facebook accounts and we are almost at 3 million Facebook likes in less in just two weeks, not to mention we have had over 10 million site hits. Wow! Did you know it would take off like this? Jason: I knew it might be successful but nothing like this. I’ve done this before but never thought it would this popular. When I did Elf Yourself, the personalized dancing elf greeting card, we actually brought the system we used to a complete halt, so I am familiar with what could happen but you never know what to expect. This has all been so fast and so quick. We have no brand beyond it, nothing supporting it, just the Internet and people talking and I am actually getting calls from top newspapers all over the world. It’s been amazing. I have even seen kids taping themselves and others watching Take This Lollipop. I love watching reactions to it. What is the best reaction you have seen? Jason: No, I couldn’t have done this myself. Developer Jason Nickel is the guy that figured out how to do all this. Jason: Took us 3.5 weeks, from me writing the script, to Jason making it live. That is all in between shooting schedules. 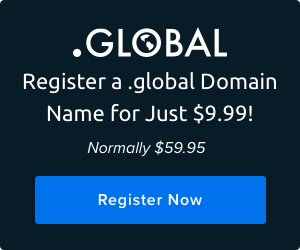 Why did you decide to host on DreamHost? 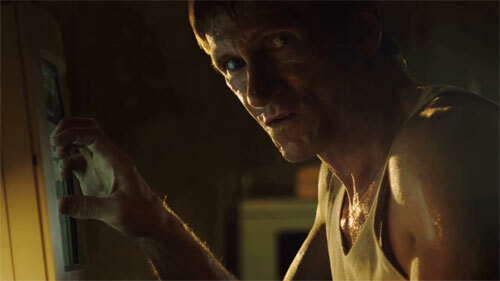 Jason: Oh, I have been using DreamHost for years and years. I always loved it. A friend got me to switch to DreamHost a while back. Take This Lollipop has had massive volume and DreamHost has worked perfectly. I haven’t had issues, its always easy to use and DreamHost has been great with service. Since the early 90’s I have been coming up with these stupid little ideas and then find a domain name for them on DreamHost. Thanks so much for your time Jason, is there anything else we should know? If you would like to be the star of your very own horror film, go ahead and try it…I dare you! You've got nothing to lose. Our plans come with a 97-day, money-back guarantee.